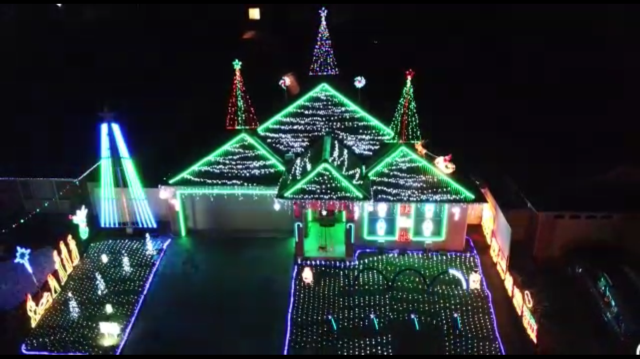 Love seeing the spectacular light displays on houses around NSW this Christmas? Well, our Lights for Kids fundraiser brings together all of this and more. Twinkling lights, family, and the joy of helping others. We have over fifty houses lighting up to raise vital funds to help the 150,000 children who walk through the doors of Sydney Children’s Hospital, Randwick and the Children’s Hospital at Westmead. So many different people have come together to light up their homes, from grandparents to teenagers. For example, Matthew Redman’s ‘Christmas on Bayberry’ on the Central Coast has grown to a full-on Christmas extravaganza. It’s a real community affair as Matthew gets the whole neighbourhood behind the cause, including the fire brigade and entertainment groups. This time of year is all about giving and Lights for Kids is the perfect way to be involved and help sick kids live their healthiest lives. If you can’t light up your house this year, you can still support sick kids by taking your family and friends to visit a Lights for Kids house near you. Visit lightsforkids.org.au where you can find an interactive map of all the homes supporting the appeal in your area.